The story that we ran on the very low cost digital temperature display has proved to be extremely popular – hardly surprising, when only a few years ago such a display would have cost well over AUD$100. It is well made, has excellent functionality, and at a cost delivered to your house of about $25, absolutely unbeatable value. But there’s also another digital display available at an unprecedented price. It’s not of direct relevance to cars or car modification, but if you’re interested in technical stuff, it’s a very good buy. 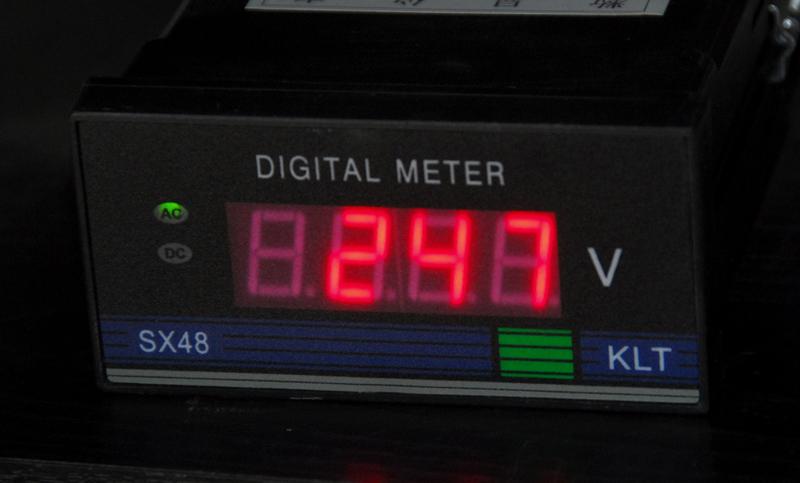 It’s a mains-powered LED panel meter that displays mains voltage. In other words, it constantly reads out the supply voltage to your house. If you live in an area where you can see your (filament) lights dimming and brightening as loads are switched on and off inside the house, or switched on and off by neighbours, there are probably substantial variations from the nominal supply voltage. 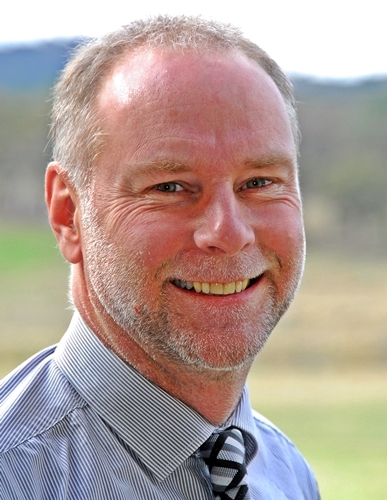 At my house, in rural New South Wales, the monitored supply voltage has always stayed within those guidelines – but it has certainly used up a lot of that range! 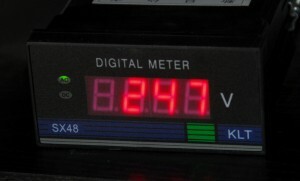 The meter shows the turning on and off of an electric jug (the resulting voltage drop is about 2V) and clearly shows when the electric water heater cuts in and out. You can also see in winter when people in the hamlet are cranking-up the heaters, and in summer when they’re turning on the air-conditioners. Cost of the meter? Just AUD$19 delivered to your door. Do an eBay search to find it and similar meters.